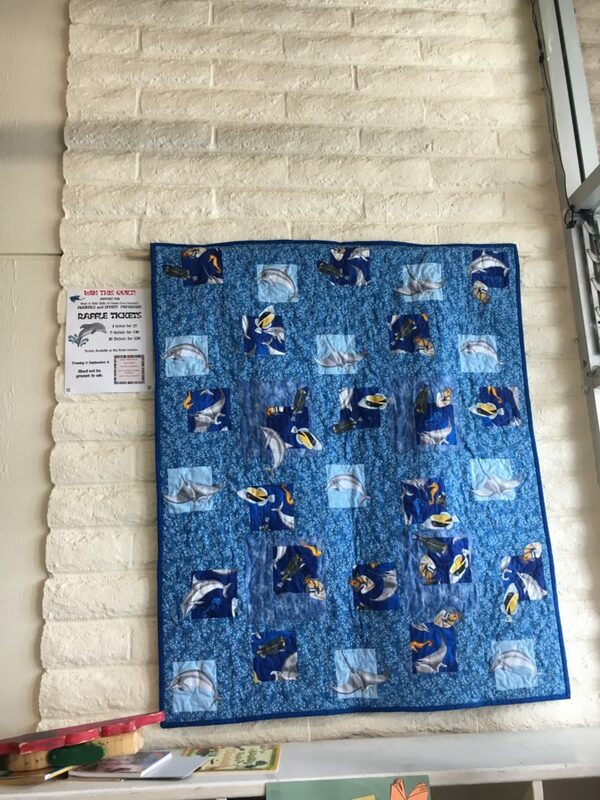 Ann Rauen (Silver Dolphins) has donated a quilt to be used as a raffle fundraiser for our sports and aquatics programs. The quilt will be displayed at the Downtown Clubhouse July 18 – July 28 and then at the Live Oak Clubhouse August 1-11. 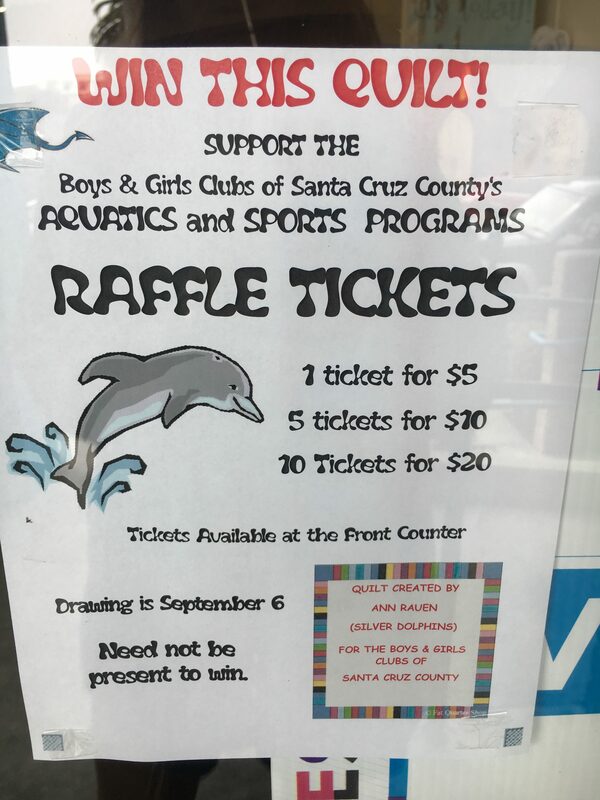 Tickets will be sold at Clubhouse front counters and benefit our sports and aquatics programs. The drawing is on September 6th.